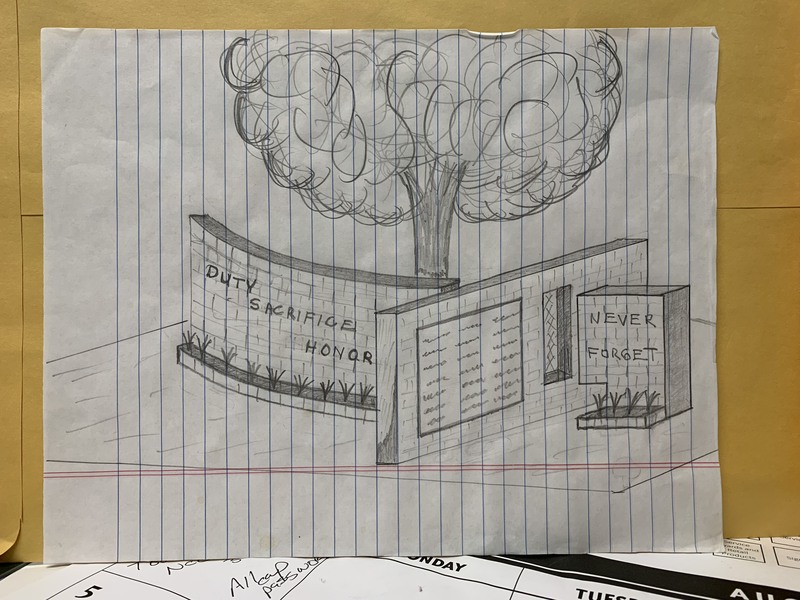 RALEIGH – What started as a pencil sketch several months ago by Assistant Director of Prisons Facilities Management Mike Hall was unveiled as a monument dedicated to remembering fallen staff Friday morning in front of the Randall Building in Raleigh. 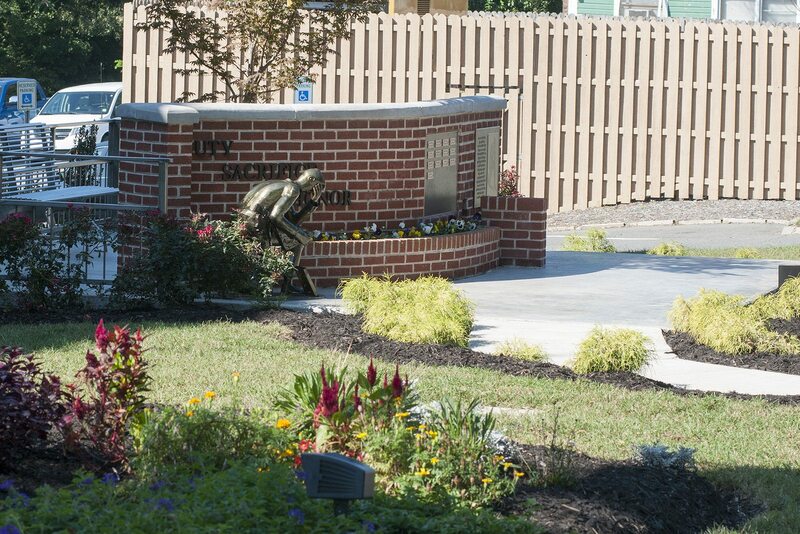 The brick monument, complete with a bench, sculpture, a list of 13 fallen staff and inspirational verse, stands in front of the building on 831 W. Morgan St. The words “Duty, Sacrifice, Honor” are inscribed on the front facing, while the words “Never Forget” greet visitors who want to visit the back. The monument was constructed by prisons facility employees, all of whom involved attended the ceremony. Interim Chief Deputy Secretary Reuben Young thanked each person and viewed the monument with them after the ceremony. “This memorial brings much needed attention not only to the fallen member of the Adult Correction family but also to the dedication, honor and sacrifice exemplified by our professional correctional officers and staff every day,” Judge Young told the crowd during the ceremony. “Our professional correctional officers and staff are special people. They have a passion for helping others in times of need, always doing the right thing and ensuring that justice is carried out. “We are correctional officers, enterprise workers, social workers, substance abuse counselors, teachers, nurses and so much more. We are often called upon to fix the broken lives of those who have made bad choices and, as a result, have not been afforded the chance to be successful. Our work extends far beyond the walls and beyond the fences. To view photos of the ceremony and the monument, please visit the DPS Flickr page.